In need of an FIPS-201 approved reader, TWIC or ISO14443 compliance, or a "future-proof" multi-technology contactless smartcard solution? Farpointe Data's Delta™ Contactless Smartcard Readers, Cards and Tags comprise an advanced radio frequency identification (RFID) solution optimised for electronic access control. Delta™ readers are true multi-technology contactless smartcard readers, integrating both 13.56-MHz contactless smartcard and 125-kHz proximity technology in a single platform. Delta™ is compatible with a range of 13.56-MHz smartcard-based credentials, including Mifare® (sector and card serial number), FIPS -201 PIV Types A and B, TWIC, as well as the entire range of Delta™ credentials. At 125-kHz Delta™ is compatible with Pyramid™ Series cards and tags, and optionally either HID® or AWID® standard proximity credentials. With a compact design the model Delta3™ may be mounted to metal door or window frames, and other flat surfaces. 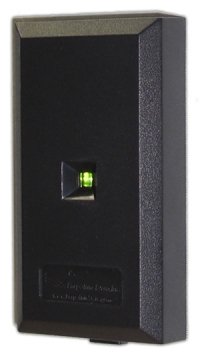 Model Delta3-H adds the option of HID® 125-kHz proximity compatibility. Model Delta3-A adds the option of AWID® 125-kHz proximity compatibility. With distinctive contemporary styling the model Delta5.3™ lends itself to mounting to a standard European-sized (60 mm) wall switch box, and other flat surfaces. Model P-530-H adds the option of HID® 125-kHz proximity compatibility. 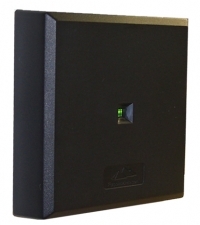 With a thin profile, the model Delta5™ may be mounted to a standard North American sized single-gang wall switch box, and other flat surfaces. Model Delta5-H adds the option of HID® 125-kHz proximity compatibility. 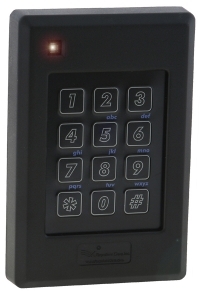 The model Delta6.4™ is designed to be mounted directly to standard North American sized single-gang wall box, and integrates both a multi-technology contactless smartcard reader (13.56-MHz and 125-kHz proximity technologies) and a keypad into a single-unit making it ideal for applications requiring an access credential and/or personal identification number (PIN). Model Delta6.4-H adds the option of HID® 125-kHz proximity compatibility. Model P-640-A adds the option of AWID® 125-kHz proximity compatibility. 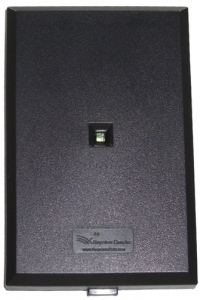 The model DC1-1 is an ISO14443-compliant, clamshell-style contactless smartcard card with a 1K-byte memory. Constructed of durable ABS, it is backed by a lifetime warranty. Dye Sublimation printable with overlay. The model DC4-1 is an ISO14443-compliant, clamshell-style contactless smartcard card with a 4K-byte memory. Constructed of durable ABS, it is backed by a lifetime warranty. The model DM1-3C is an ISO14443-compliant, contactless smartcard with a 1K memory. Manufactured from glossy PVC, it is appropriate for dye sublimation imaging (ISO style). The model DM4-3C is an ISO14443-compliant, contactless smartcard with a 4K memory. Manufactured from glossy PVC, it is appropriate for dye sublimation imaging (ISO style). The model DM1-3S is an ISO14443-compliant, contactless smartcard with a 1K memory. Manufactured from glossy PVC, it is appropriate for dye sublimation imaging (ISO style). Includes 2750 Oe HiCo Magnetic Stripe. The model DM4-3S is an ISO14443-compliant, contactless smartcard with a 4K memory. Manufactured from glossy PVC, it is appropriate for dye sublimation imaging (ISO style). 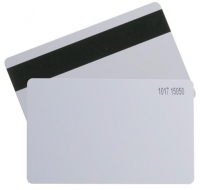 Includes 2750 Oe HiCo Magnetic Stripe. The model DK1-3 is an ISO14443-compliant key tag style contactless smartcard credential with a 1K memory. It is designed to be carried on a key ring, and includes a brass reinforced eyelet. The model DK1-3 is an ISO14443-compliant key tag style contactless smartcard credential with a 4K memory. 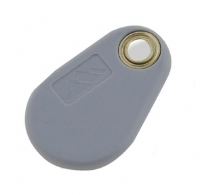 It is designed to be carried on a key ring, and includes a brass reinforced eyelet.